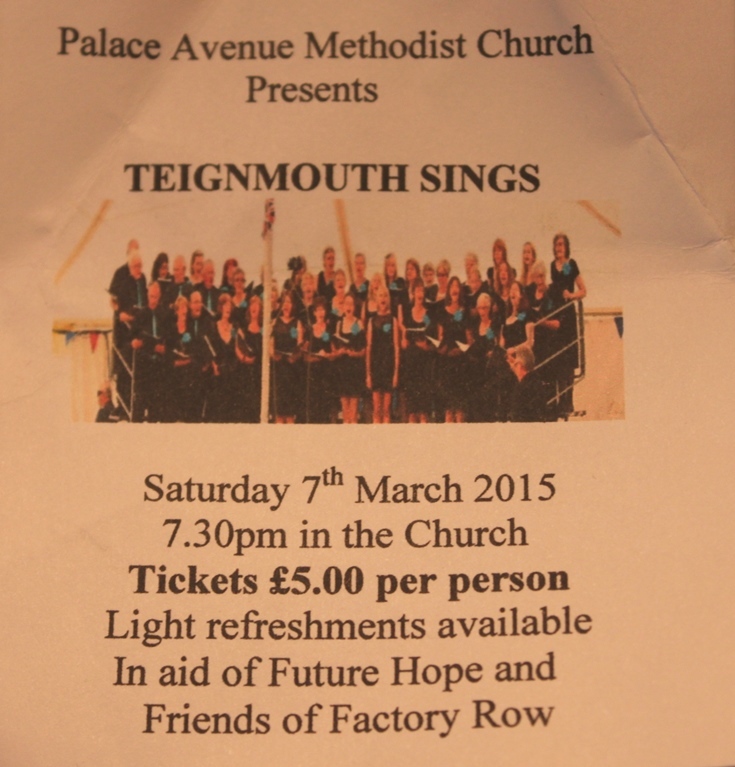 This was the rousing finale to our concert at the Palace Avenue Methodist Church in Paignton on the evening of Saturday 7th March. We enjoyed an excellent reception from the church, and were doubly rewarded by a very good audience which packed every row in the venue. This was the second time we had sung our new Andrew Lloyd Webber medley in public, and on both occasions the audience have really appreciated the mix of popular songs… ‘Don’t Cry for Me Argentina’, ‘Memory’, ‘Unexpected Song’, ‘Think of Me’ and of course the Phantom! Other medleys we enjoyed singing included our old standard ‘The Best of Bond’; ‘Fiddler on the Roof’ (first sung by us in 2014) has proved very popular and the Rogers and Hammerstein collection of goodies always pleases. We were admirably led by Jeff and Lydia, and after the hard work put in recently in some very intensive rehearsals, the whole choir came away delighted with the evening. 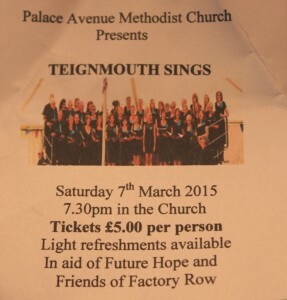 This entry was posted in Events on March 8, 2015 by Teignmouth Sings. Fun at the Christmas Family Concert!